Hero Development Board - AndyMark Inc. The HERO Development Board is developed by Cross the Road Electronics. It's a user programmable hardware platform that runs the .NET Micro Framework, which allows you to develop applications using Visual Studio written in C#. The HERO also functions as a Gadgeteer main board, enabling easy integration of many hardware accessories for whatever additions you have in mind like SPI, I2C, UART/USART, SD Card, Analog, GPIO, PWM and a Talon SRX emulation port. The HERO also features dual wire CAN, USB host and USB device support. 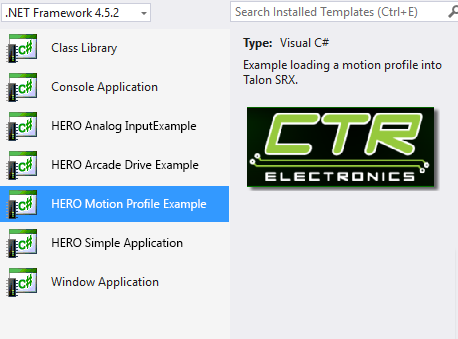 Developers can use HERO as an aid to integrate Talon SRX, PCM and PDP to custom platforms that support CAN Bus. Great for college projects! HERO allows Gamepads to be directly connected, allowing users to control Talons over CAN Bus without a PC. Use a wireless USB gamepad and drive your robot remotely! Field-upgrade and modify Device IDs of CAN Devices using HERO and USB. (Requires a USB A-to-A cable). Want to try out the latest and greatest Talon SRX features? Got a feature idea you'd like us to try? HERO provides a common platform for the CTRE team to better support you. Feature additions to CTRE CAN Devices are tested using HERO, meaning we use our devices the same way you do. Example projects continually added to Visual Studio to demonstrate how to use latest features.